The bursting of the housing bubble and the ensuing financial debacle have left most people, including many economists and financial experts asking: Why did this happen? If they had been reading Monthly Review, and were familiar with such articles as “The Household Debt Bubble,” “The Explosion of Debt and Speculation,” and “The Financialization of Capitalism,” they would not have needed to ask. In their new book, The Great Financial Crisis: Causes and Consequences, Monthly Review editor John Bellamy Foster and long-time Monthly Review contributor, Fred Magdoff, update this analysis, exploring the whole course of what is now known as “the worst financial crisis since the Great Depression”: from the debt explosion and housing bubble to the subprime debacle and federal bailout. They argue that this latest financial crash, although greater than any since 1929, is itself a symptom of deeper problems connected to the stagnation of the “real” or productive economy of mature capitalism. Financial bubbles have become the chief means of countering stagnation, but these inevitably burst, bringing the underlying economic problems back to the surface. The only recourse of the system: new and bigger bubbles, leading, as they too pop, to still greater financial crises and worsening conditions of production—in what has now become a vicious cycle. With this as their key, Foster and Magdoff are able to examine the complex interconnections associated with rising debt, weakening production and investment, stagnant wages, burgeoning unemployment, rapidly growing class inequality, spiraling global economic instability, and spreading militarism and imperialism. At the center of the story is the latest phase of capitalism, “monopoly-finance capital,” that has generated a giant casino economy and promotes enormously exorbitant, exploitative, and corrupt practices as well as violence abroad—all geared to finding and protecting profitable ways to invest the corporate capital surplus. Meanwhile, the real, pressing needs of most people in the society go unaddressed. 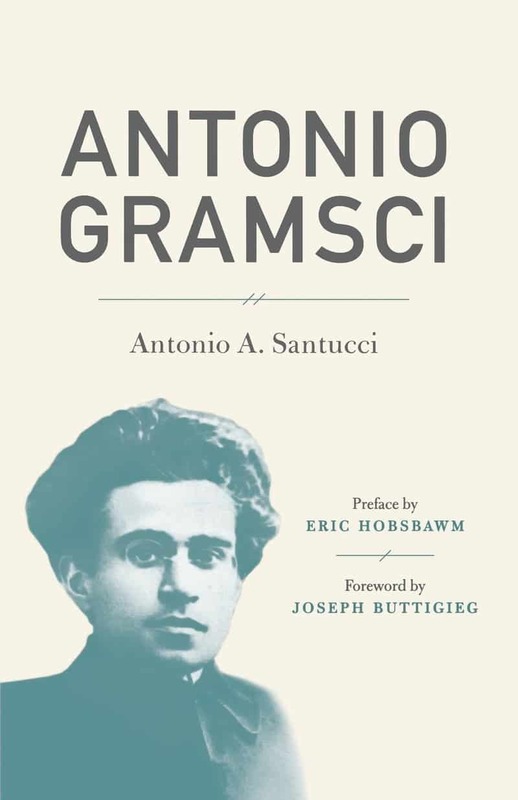 The only genuine way out of trap, The Great Financial Crisis argues, is the promotion of those very measures—such as massively expanding socially useful public spending, improving the security of the working class, and democratizing ownership of productive property—that are invariably opposed by the current system of wealth and power. If the legendary Mother Jones was right, and we must educate ourselves for the coming struggle, then this book is today’s most essential reading. 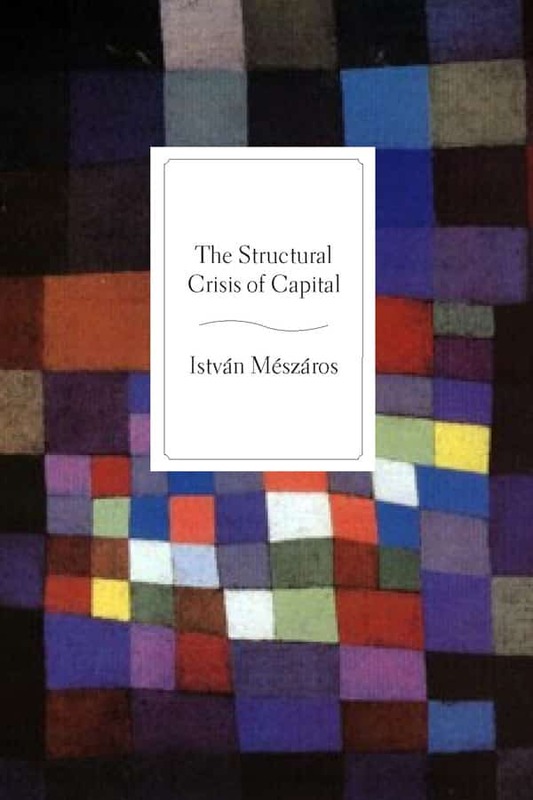 …an insightful account of the roots of the crisis. With all the charges of ‘socialist’ hurled at Barack Obama from the howling back benches, I decided it was time to find out what some real socialists are saying about the crisis of monopoly capitalism. It’s a short book long on insight. In this timely and thorough analysis of the current financial crisis, Foster and Magdoff explore its roots and the radical changes that might be undertaken in response. . . . This book makes a valuable contribution to the ongoing examination of our current debt crisis, one that deserves our full attention. Those interested in the Marxist perspective should get hold of The Great Financial Crisis. . . . It is a fascinating read. Follows Marxist writers Harry Magdoff and Paul Sweezy in arguing that ‘stagnation’ is the normal state of capitalism (or what the present authors term ‘monopoly-finance capital’). To preserve ‘growth,’ finance becomes increasingly decoupled from investment in real things, but in doing so it creates bubbles, and we all know what happens when they are pricked … Foster and Magdoff did call out an imminent collapse of the US “household debt bubble” as far back as spring 2006. I like to hope that some members of the economics profession, some journalists who routinely interpret economics for the general public, and even (could we hope?) some public officials unafraid to think what had previously been the unthinkable (namely that radical leftists have something useful to say about the U.S. economy and economic policy) will take up this book and engage with it. . . . We ignore the arguments of this book and other dissenting economists at our peril. The challenge for the left is to articulate both the temporary nature of capitalism’s fixes and of capitalism itself in accessible terms. This book is a useful weapon for all who strive to do so. Everyone at last knows we are in a great financial crisis. Foster and Magdoff have seen it coming for some time now. If you want a clear and cogent explanation of the reality of our debt crisis and what might be done about it, this is your book. The Great Financial Crisis will be extremely useful for all who are trying to sort out the meaning of the most serious crisis U.S. and global capitalism has faced in eighty years. Few today are able both to make sense of the details of the modern ‘financial architecture’ that turned a predictable burst in the U.S. housing bubble into a full scale financial meltdown, and also to bring an historical perspective stemming from the work of Keynes, Hansen, Steindl, Kalecki, Minsky, Galbraith, and of course Marx, Sweezy, and Harry Magdoff. Because the authors could draw on their own excellent coverage of the lead up to the crisis in the pages of Monthly Review magazine, we have an invaluable book available to us much sooner than would otherwise be possible. Those of us who are dissatisfied with the analyses of the financial-economic meltdown of 2008 that attribute it to easily remediable ‘mistakes’ on the part of financial institutions, regulators, or policy-makers can learn a lot from John Bellamy Foster and Fred Magdoff’s The Great Financial Crisis: Causes and Consequences. Foster and Magdoff follow up the theses of Paul Sweezy, Paul Baran, and Harry Magdoff that diagnose the structural problems of U.S. capitalism in its chronic tendency toward stagnation rooted in inadequate business investment and leading to slow growth, unemployment of labor, and low utilization of capital. This book makes the case that the excesses of financialization and the widening inequality of income distribution are themselves indirect effects of stagnation in the real economy, and explains with sobering clarity why the roots of this crisis may turn out to be deep and difficult to address with conventional policy measures. Much of the analysis of the latest economic meltdown has been confined to explanations about the housing bubble and bust. In The Great Financial Crisis, Foster and Magdoff take a broader approach, presenting a rigorous and sorely needed historical and forward-looking perspective of the capitalist system out of control. With intricate detail, Foster and Magdoff contextualize the housing debt and speculative bubble within its rightful place at the core of an accelerated period of the financialization of capital, eloquently arguing why a people-first, or socialistic, approach to this crisis is the most logical way to stabilize the general economy. Harry Magdoff and Paul Sweezy, to whom this book is dedicated, analyzed the financial crisis as inseparable from the tendency to stagnation of monopoly capital. 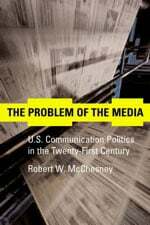 The present book is written in the same spirit and brings their approach fully up to date under the circumstances of ‘monopoly-finance capital.’ It underlines that, whatever might be attempted today, the necessarily recurring crisis is bound to get worse without remedying the causes of stagnation. Thus Foster and Fred Magdoff rightly stress that ‘the answer lies in a truly revolutionary reconstruction of the entire society.’ Their book is a worthy memorial to Harry Magdoff and Paul Sweezy. Foster and Magdoff’s very readable account of the crisis merits close and wide attention. Their analysis of consumer debt burdens is the perfect antidote for everyone who is tired of hearing how ‘we’ went on a consumption binge, and their historically sensitive discussions of the roots of the crisis are fresh and provocative. John Bellamy Foster and Fred Magdoff’s book on ‘The Great Financial Crisis’ is an excellent example for the usefulness of studying Marx’s works and that of other Marxist political economists, e.g. the writings of Paul M. Sweezy and Harry Magdoff, in order to better grasp the dynamics and contradictions of the financial turmoil and its implications for social conflict. The disastrous contemporary financial crisis cannot be understood as the consequence of a ‘wrong regulation’ of the world of finance. It is an emanation of the ‘real’ accumulation process of financialized monopoly capital. 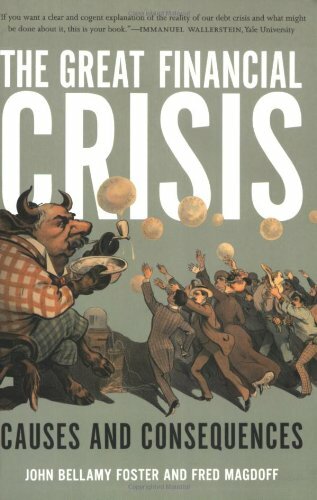 Foster and Magdoff’s new book presents a sharp and stimulating analysis of the historical origins and structural roots of the current financial crisis. The authors argue that the implosion is a logical consequence of the contradictions of monopoly finance capital—contradictions that are reflected in the twin processes of financialization and stagnation that have dominated the development of the U.S. economy in the recent decades. It is an essential read if the mea culpas and post mortems of ‘the experts’ faced suddenly with ‘a fundamental flaw’ in the logic of unregulated markets have left you demanding a more penetrating account of this crisis. A must read! Here is an excellent guide to understanding the role debt overload and the stagnation of real economy played in the recent crisis, in the tradition of Sweezy and Magdoff. The financial crisis of 2007–08, and with more certainly in store for 2009 and beyond, is one of the great calamities of modern neoliberal capitalism. But it should come as no surprise for regular readers of John Bellamy Foster and Fred Magdoff’s writings over the past few years in Monthly Review. In a series of highly accessible and cogent articles, they have consistently explained both the build up to the crisis and its consequences. The Great Financial Crisis brings their ideas together in one place. 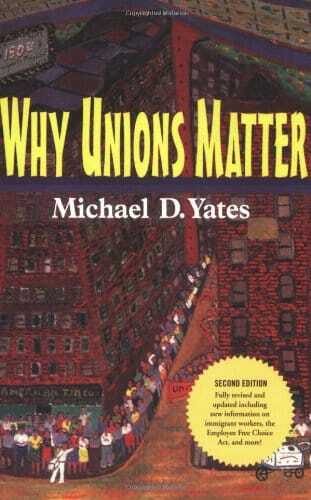 It is compelling reading for anyone seeking to both understand and change the world we live in today. John Bellamy Foster is editor of Monthly Review. He is professor of sociology at the University of Oregon and author of Critique of Intelligent Design (with Brett Clark and Richard York), Naked Imperialism, Ecology Against Capitalism, Marx’s Ecology, The Vulnerable Planet, and The Theory of Monopoly Capitalism. Fred Magdoff taught taught at the University of Vermont in Burlington, is a director of the Monthly Review Foundation, and has written on political economy for many years. He is co-editor of the book Hungry for Profit: The Agribusiness Threat to Farmers, Food, and the Environment (with John Bellamy Foster and Frederick H. Buttel).